Over the last few offseasons, the Yankees have only spent whatever comes off the books following the season. They put the money back into the team and that’s basically it, no more. The Yankees only shed about $20M in player salaries after the 2015 season, and a little less than half that will go to covering arbitration raises. It’s no surprise they’re focusing on trades now. 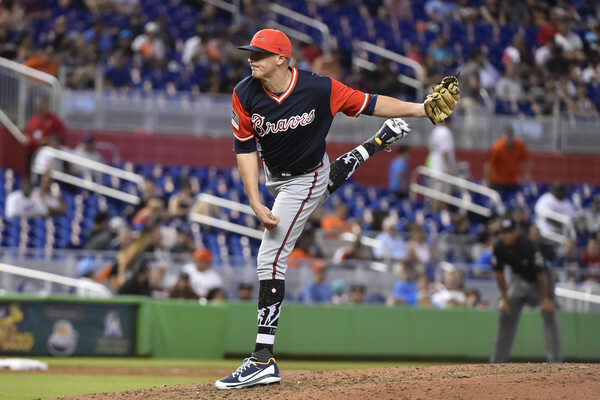 Spending some (any) of those limited dollars on a relief pitcher may not seem like a smart idea, but with substantial rotation help unlikely to be on the way, improving the relief crew make sense. 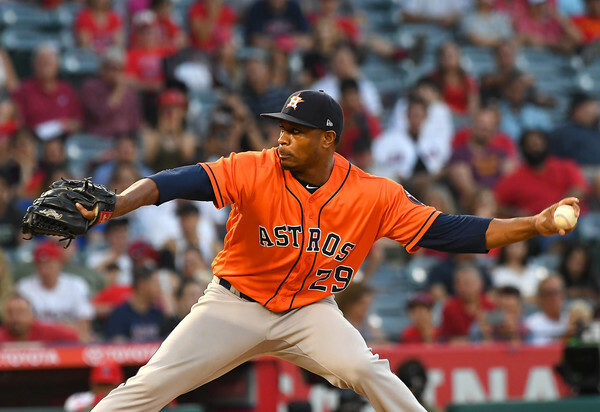 Besides, there’s a chance the Yankees could land themselves a bargain in left-hander Tony Sipp, who remains unsigned even though relievers are now coming off the board every few hours. Is he a fit? Let’s look. Sipp is a journeyman. 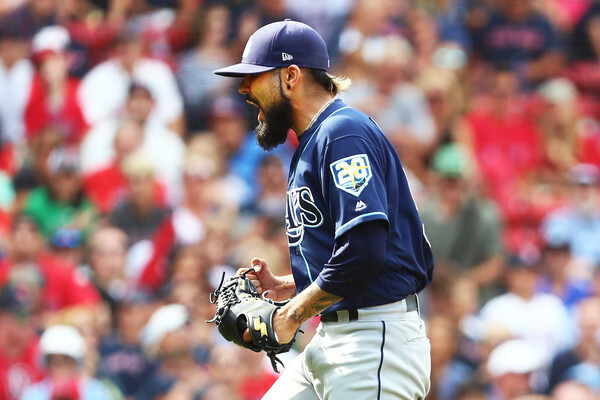 He started his career with the Indians, was traded to the Diamondbacks in the three-team deal that also sent Didi Gregorius to the desert, signed with the Padres as a free agent, then landed with the Astros as a free agent after being released by San Diego. 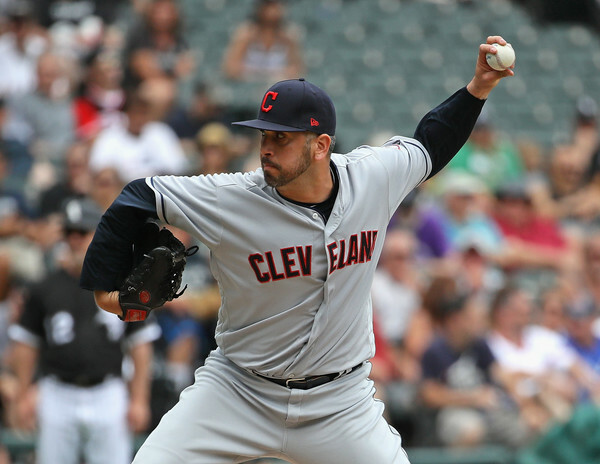 The 32-year-old has thrown 363 innings in parts of seven MLB seasons (3.50 ERA and 4.21 FIP). 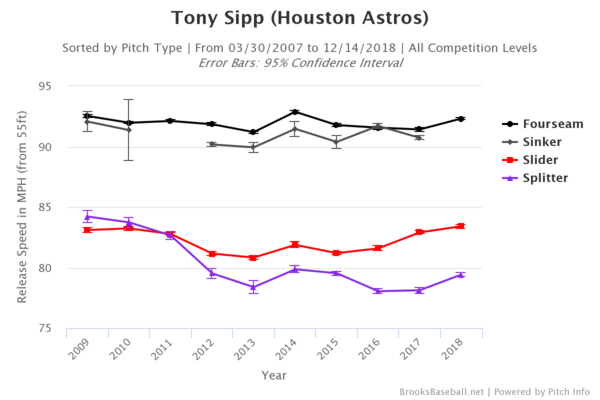 After arriving in Houston in 2014, Sipp’s performance improved considerably. Here are his last two seasons with the Astros and his two seasons prior to joining Houston. Gosh, that’s like two different pitchers. Once he arrived in Houston, Sipp’s strikeout rate skyrocketed and he figured out how to retire right-handed batters, so he was no longer a left-on-left matchup guy. He was a true one-inning pitcher the last two seasons who just so happened to be left-handed. Sipp’s walk rate is a little high — I’m not sure I’d count on him sustaining a 6.9% walk rate going forward, not based on his career to date — and he doesn’t get grounders, though that’s not necessarily a big deal because he’s been an extreme infield fly ball guy. His career rate is 13.5% infield pop-ups. The MLB average hovers around 9.0% each year. Strikeouts and pop-ups are a really great recipe for success. Obviously there are reasons to be skeptical. Relievers work in small samples and weird stuff happens. When a career journeyman like Sipp suddenly puts it together, it’s easy to think it’s a fluke. There is a tangible reason for the improved performance against right-handers though, which led to the overall success. Let’s look at that now. We saw Nathan Eovaldi go through the process of learning a splitter this summer. It’s not as simple as throwing the pitch more often. You have to get comfortable with it and throw it with conviction. That can take time. The Astros got Sipp to use his splitter more often last year, and by this summer he was throwing it almost as often as his slider. It’s gone from show-me third pitch to legit weapon. That explains the improved performance against righties. Sipp now has a weapon for batters of the opposite hand. There’s an honest to goodness explanation for the improvement. Chris Colabello, the last batter in the video, took that fastball down the middle because he was expecting a two-strike splitter out of the zone, the pitch Sipp used to strike out the first two batters. The splitter changes everything. The split itself gets swings and misses and it helps his fastball play up. Sipp improved the last two years because he changed as a pitcher. Whether the improved performance is sustainable long-term remains to be seen, but, for now, all we need to understand the success is not a fluke. He added a new pitch and it changed his profile. Sipp had Tommy John surgery back in July 2007 but has been healthy since. No DL stints, no day-to-day injuries, nothing. The elbow reconstruction is the only significant injury of his career. (He did miss three weeks with an oblique strain in 2006, which … whatever.) By 32-year-old journeyman reliever standards, Sipp’s medical history is about as clean as you’re going to find. MLB Trade Rumors: Three years, $12M. Jim Bowden: Two years, $10M. For what it’s worth, Jerry Crasnick reported yesterday that Sipp is looking for three years and $5M to $6M annually. That’s basically Zach Duke (three years, $15M) and Boone Logan (three years, $16.5M) money, and hey, maybe those are cautionary tales. Duke and Logan have been pretty terrible since signing their big free agent deals, and similar to Sipp, Duke had a tangible explanation for his sudden success because he reinvented himself as a side-armer. The free agent bullpen market was pretty weak coming into the offseason and most of the top guys have already come off the board. Darren O’Day received four years and $32M. 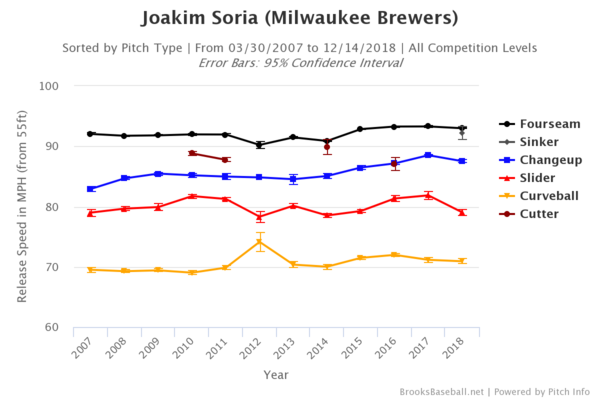 Joakim Soria got three years and $25M. Mark Lowe got two years and $13M. Heck, Ryan Madson got three years and $22M despite not pitching at all from 2012-14 due to an ugly medical history. When I saw Sipp wanted only three years at $5M or $6M per year, it stood out to me as a bargain in this market. I thought Sipp was undervalued a bit coming into the offseason, but man, seeing those reliever contracts makes his asking price really seem like a good deal to me. The splitter explains his sudden success and he’s done it two years in a row now. This wasn’t a one-year blip. He did it in 2014 and did it again 2015 as he continued to emphasize the splitter. The Yankees may not have much money to spend this offseason, but it appears Sipp can provide some real bang for the buck. Forget the left-handed thing. He’s a setup man caliber reliever capable of throwing full innings. 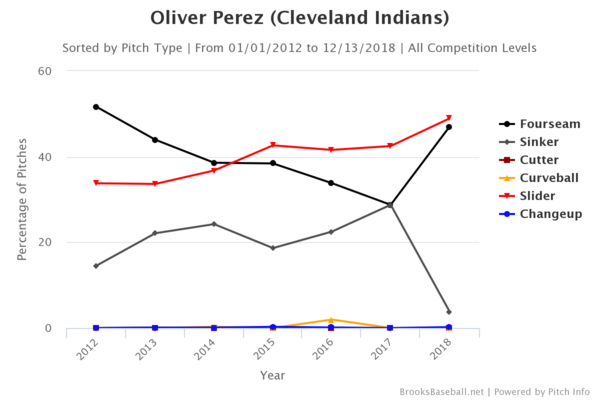 He can provide additional bullpen depth and also help cushion the blow if the Yankees do indeed decide to trade Andrew Miller at some point. There’s always room in the bullpen for another good reliever anyway. I can understand why anyone would be skeptical of Sipp going forward, especially since he’s not young, though I am a believer in the splitter and his ability to sustain his 2014-15 success going forward. It’s risky. No doubt about it. All reliever contracts are. Sipp does strike me as a great value play at his asking price though. Extra bullpen depth to help protect against a rotation littered with health concerns may not be a bad way for the Yankees to use their limited dollars. Six questions and six answers this week. Remember to use the Submit A Tip in the sidebar to send us whatever, whenever. Several people asked: What about Jeff Niemann? Niemann, 30, elected free agency earlier this week after the Rays outrighted him off their 40-man roster. 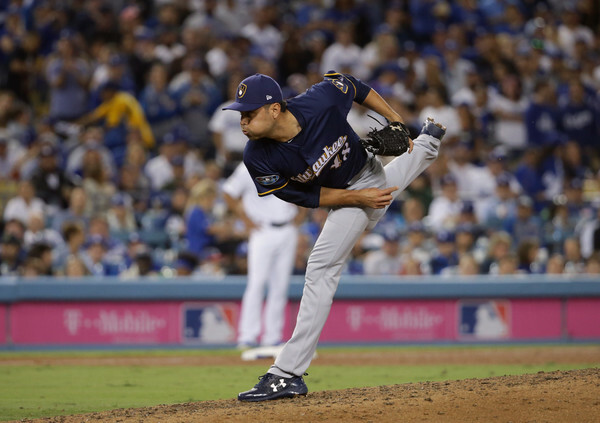 He did not pitch at all this year and has been limited to one game since May 2012 due to a series of shoulder problems, most notably surgery to repair damage to his labrum and rotator cuff. Niemann’s had a lot of injury problems over the years, most dealing with his shoulder. That’s always scary. Before the injury, the 6-foot-9, 285 lb. right-hander managed a 3.08 ERA (3.09 FIP) in 38 innings last season. He put up a 4.06 ERA (4.13 FIP) in 135.1 innings in 2011 while missing time with a back problem. Niemann never lived up to hype associated with being the fourth overall pick in the country (2004), but he was a rock solid mid-rotation guy who showed steady improvement — particularly when it came to getting strikeouts and ground balls — before this last round of injury problems. Niemann had his surgery in April and it came with a 9-12 month recovery time. He recently told Bill Chastain that things are going well but a second half return is the most likely scenario while adding that he might not sign until he can get back on a mound and clubs can see him throw. I definitely have interest in Niemann since he’s reasonably young and has AL East/pennant race experience, but obviously the medicals need to check out. If he’s willing to take a minor league contract, absolutely. Go for it. If he wants something guaranteed right away … eh, that might be pushing it. Some team could cave and given him that 40-man spot, I suppose. Dustin asks: Two recently DFA’d players to pick up on waivers if they fall to the Yanks: Tony Sipp and Felipe Paulino. Thoughts? The 30-year-old Sipp was taken off the roster by the Diamondbacks earlier this week and he has the right to elect free agency, but he hasn’t done so yet. 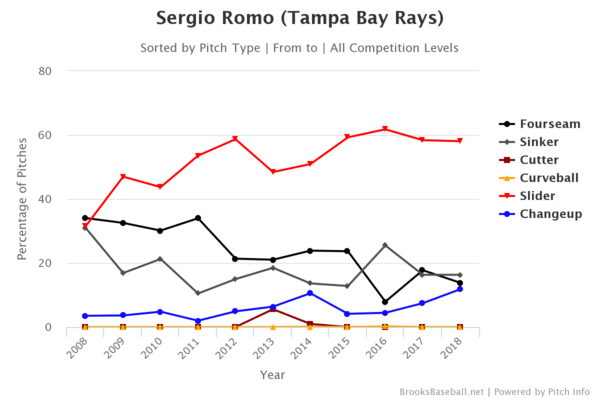 He pitched to a 4.78 ERA (4.88 FIP) in 37.2 innings in 2013 overall but we’re talking about a lefty specialist, overall numbers don’t tell the whole story. Sipp was hit hard by same-side hitters this past season (.378 wOBA and 6.05 FIP) but was much more effective from 2011-2012 (.288 wOBA and 4.16 FIP). If he wants to take a minor league deal and compete for a bullpen spot with Cesar Cabral and David Huff in camp, sure. Paulino, 30, is in the same boat as Niemann. He already elected free agency but hasn’t pitched since June 2012 due to Tommy John and shoulder surgery, the latter of which is expected to sideline him until the second half of next year. 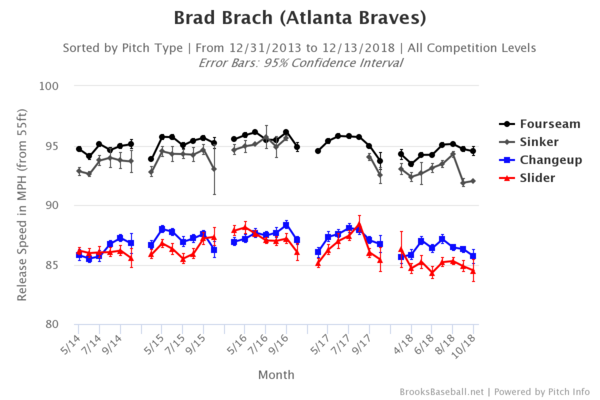 Before that he was showing steady improvement, with a 1.67 ERA (3.25 FIP) in 37.2 innings in 2012 and a 4.46 ERA (3.69 FIP) in 139.1 innings in 2011. Niemann has a longer track record of success but I think these two are in the same exact situation. If the medicals check out and Paulino is willing to take a minor league contract, then let’s do it. If he wants something guaranteed, let someone else give him the 40-man spot. Travis asks: Would a swap of Dellin Betances and Conor Gillaspie of the White Sox make sense for both sides? They love their large-framed pitchers and the Yankees have a need for a left-handed 3B/1B. I think that’s fair value. Both Betances and Gillespie are former top prospects who are out of minor league options and have yet to really establish themselves at the big league level. The 26-year-old Gillaspie did play fairly regularly for the ChiSox this past season, hitting .245/.305/.390 (85 wRC+) with 13 homers in 452 plate appearances. His defense at the hot corner was a tick below-average. The Yankees would be banking on Yankee Stadium’s short right field porch boosting his numbers. I do think that trade makes sense for both teams and it’s worth noting the White Sox have shown interest in Betances before. Do they still like him? That’s the question. Dave asks: Let’s say A-Rod gets suspended for all of 2014 and prior to the 2015 season, the Yankees buyout his remaining contract in a single $61M lump sum. How does that amount affect the luxury tax? From what I have read, the Collective Bargaining Agreement does not address buyouts for a situation like this. I think it would be treated as a new contract, however. Essentially a one-year, $61M contract. If that’s the case, I think the Yankees would simply release him and pay the $61M over the next three years instead. I think a more likely buyout scenario is paying that $61M over six years (with interest) instead of three, doubling the term. The luxury tax hit would be recalculated in that situation but it’s not as simple as average annual value because the Yankees have already paid some amount of tax on that contract. The tax hit would be lowered, I’m just not sure how much. The most important thing to remember is A-Rod has no reason to take a penny less than what’s owed to him, it’s extremely unlikely he’ll agree to a buyout that makes all or part of that $61M disappear. He’ll make the Yankees release him before agreeing to take less money. That’s what I would do. Nick asks: Nick Cafardo recently reported that Grady Sizemore was getting a lot of attention and that he should be ready for Spring Training. Now I know he shouldn’t be counted on for anything but don’t you think he’d be a good buy low candidate? Did you know that Sizemore is 31 years old already? He’s not all that young anymore. That really snuck up on me. He hasn’t played in a game since September 2011 and when he did play, he kinda stunk (94 wRC+ in 2011, 81 wRC+ from 2010-2011). His list of injuries is so very long — left elbow inflammation and debridement (2009), sports hernia (2009), left knee microfracture surgery (2010), another sports hernia (2011), arthroscopic right knee surgery (2011), lower back surgery (2012), right knee microfracture surgery (2012) — that he’s basically the Eric Chavez of outfielders. If Sizemore is cool with taking a minor league deal and showing what he can do in Spring Training, by all means, bring him in. Maybe he has a 2012 Chavez year in him. My expectations are zero though. Niq asks: Can you remind me what happens if the Yankees sign multiple free agents who received and turned down qualifying offers? Do they lose multiple picks? If not, doesn’t that make it easier to sign multiple top free agents? Thanks. Oh yes, you will absolutely lose multiple picks for signing multiple qualified free agents. Under the current Collective Bargaining Agreement, teams can forfeit the picks they receive as compensation for losing their own qualified free agents as well. It didn’t used to work like that. So if the Yankees get a supplemental first round pick for Curtis Granderson signing elsewhere but sign two qualified free agents, they would lose their first rounder and the compensation pick for Granderson. If it’s feasible, I think you’re better off doing all your shopping in one offseason and losing two or three picks at once (like the Yankees did during the 2008-2009 offseason) than signing one big free agent each winter and forfeiting your first rounder every summer.